There's something so exciting about the start of a new school year. Be it the chance at a fresh start, opportunity to set new personal goals to achieve, or if you're like me, it's mostly the pure exhilaration of getting to buy new school supplies. I know, I'm a nerd; but stationary & cute back-to-school supplies/accessories have been my favorite thing for as long as I can remember. Not only does it make me feel like I'm getting my shiz together, but I also think that you have a more successful school year if you feel confident & excited about your new school accessories. Okay, def not a proven fact; but I know from personal experience when I'm happy with how I look or with the items that I'm possessing/surrounding myself by at school, I thrive! Today I wanted to share with you a list of supplies that are both necessities for a successful school year, as well as just fun to accessorize yourself with! I'm also going to tell you where you can get these items and my personal favorite places to shop for them, so if you're a stationary/school supply nerd like me, keep reading below!! I typically like to go for planners that are hardcover because I find they're more durable and last longer. The one that I picked out on the far left is from Paper Source. 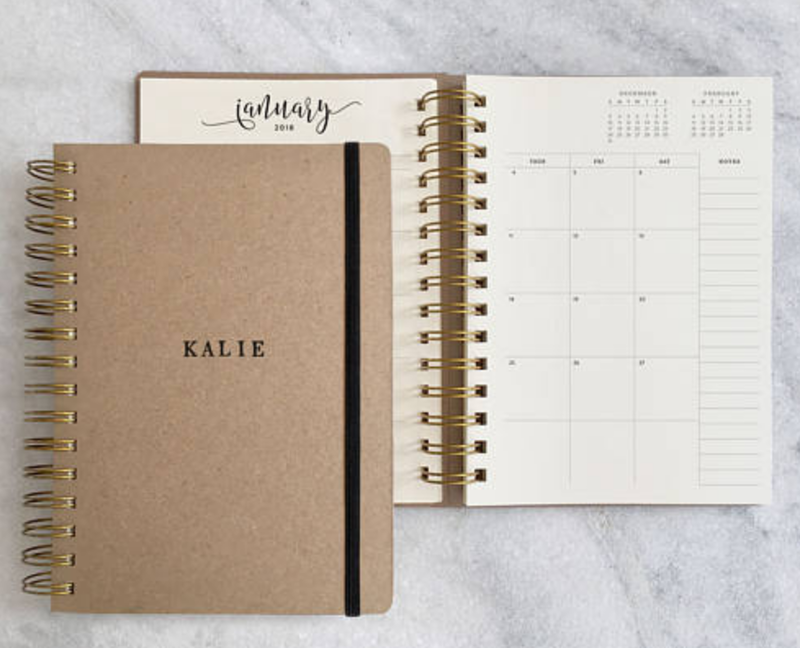 If you're looking for a wide variety of planner styles that you also have the option to customize, Paper Source is where you need to be browsing. 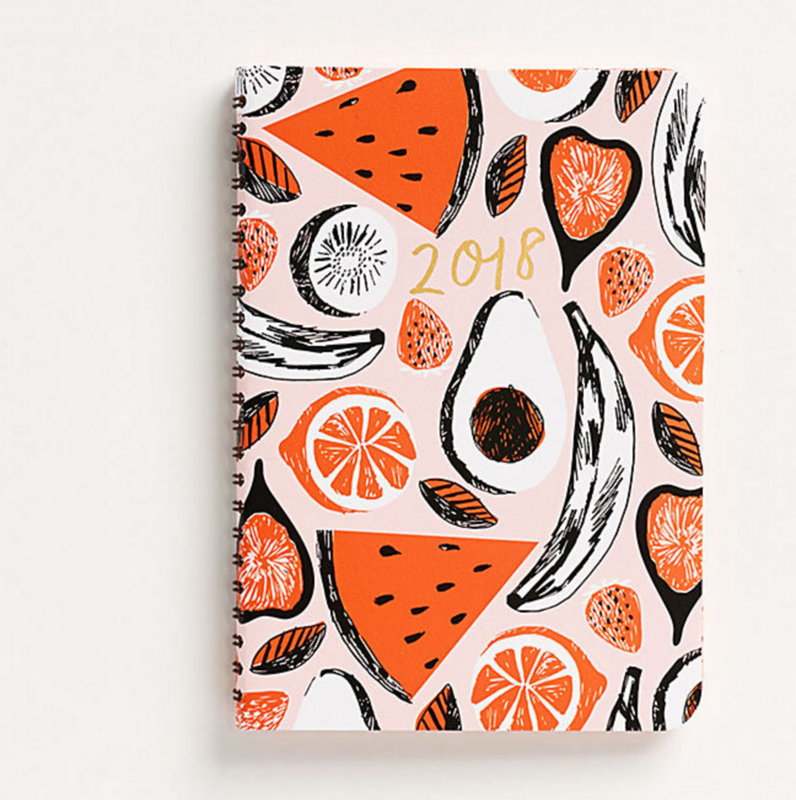 Another one of my favorite stationary/organizational specific companies is Rifle Paper Co! Definitely has a similar vibe to Paper Source. 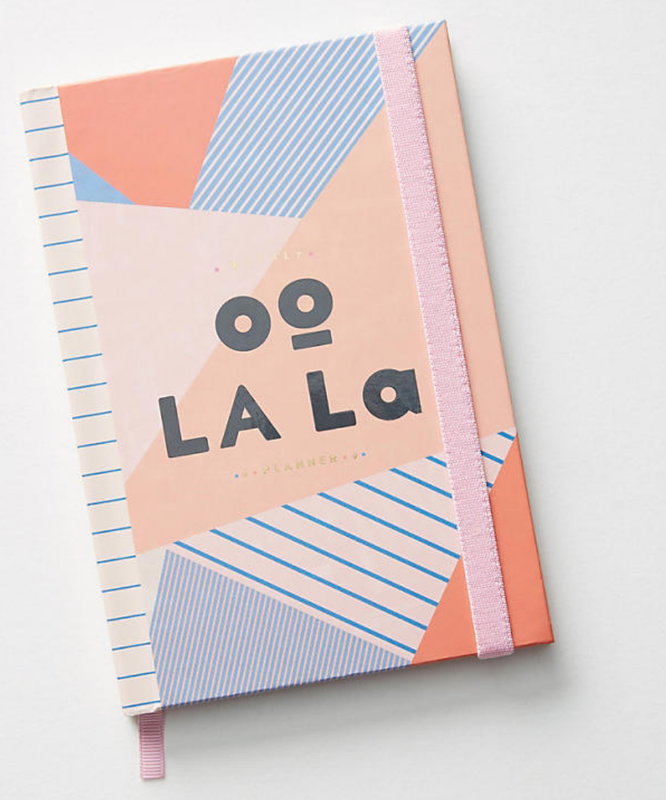 If you're looking for something aesthetically pleasing, Anthropologie is the place for you; that's where I found this adorable 'oo la la' planner! Lastly, if you want something more simplistic and minimal, you should be searching on Etsy. I find that there's more of a homemade, rustic vibe to everything you purchase from there. I've always loved olive green, but for some reason, I'm all of the sudden obsessed with it. When I was looking for a backpack for this upcoming school year, all of the ones that caught my were... yep, you guessed it: olive green. Not sure if it's a trend, but I'm just really diggin it; especially for a backpack! I think when it comes to backpacks, it's smart to avoid light colors and go with cooler ones like navys, dark purples, black, and even maroon. The main reason for this is because if you're anything like me, 90% of the time your backpack is getting thrown on the ground, in the back of your car, on dirty carpet, around pen ink or paint, and pretty much accumulating dirt and stains within the first 10 minutes of purchasing it. Therefore, play it safe and go with a darker color that can hide a few imperfections. If you're in high school, I would go with something like Jansport because it's the most convenient backpack. However, if you're a college student, maybe go for something that's a little more versatile and stylish. I know on the weekends when I go home or I'm going on a mini roadtrip, I'd rather take my things in a backpack instead of a suitcase. This gives you the chance to use one bag as both your school bag and travel backpack! And for a college student, multipurpose items are clutch. Favorite places to shop for trendy backpacks: State, Herschel, & Bloomingdales! I swear one day I will start my own punny pencil company because I love them so freakin' much. Mark my words!! I mean honestly though, let's be real. We are all like 10x more motivated to take notes, do homework, or write anything if the pencil we're using has cute or funny phrases engraved on the sides of the them!! My ultimate go-to for all of my pencil fixin's is Etsy. Like I said, you find so many homemade, inspiring, and simplistic goods there and when it comes to punny pencils, the more simplistic and witty, the better. You can also find some quirky phrase or patterned pencils on Paper Source, but I prefer Etsy because there's a way bigger variety. Anthropologie also has some cute patterned pencils! Having a bunch of cute notebooks, planners, and quirky pencils are great and all, but it aint cute when that shiz' is messy & scattered all over the place! When we accumulate goods, we have to organize said goods. Wouldn't it be nice if staying organized was that simple? Sigh. Anyways, If you're in high school still, getting yourself a locker shelf is a great way to keep your textbooks neat and in good condition; try this one from The Container Store! When it comes to keeping our desks organized, I find the hardest thing to keep under control is all of the papers, forms, and packets that we're handed by professors that always seem to accumulate in huge piles over time. One way we can avoid this is by getting a filing cabinet or labeled drawers to keep all of these things neat and organized! Being able to hang a filing system on your door or a wall is a great way to save space when living in a dorm or apartment with limited space; I like this one! Another good idea is to hang a metal grid on the wall above your desk to place little self reminders on or to hang pictures from. You can find this at Urban Outfitters and it acts as both organization and decoration! Lastly, I found this super cool desk organizer on Etsy (the picture all the way to the right) that has place holders for pens, pencils, sticky notes, and even a coffee mug! You stick it right behind your keyboard and now you don't have to worry about having enough elbow room whilst typing or doing other desk duties. I'm assuming you have a laptop, which if you don't I suggest investing in one- its the way of the world (and your college lifeline), people! So, obviously you need a laptop cover. 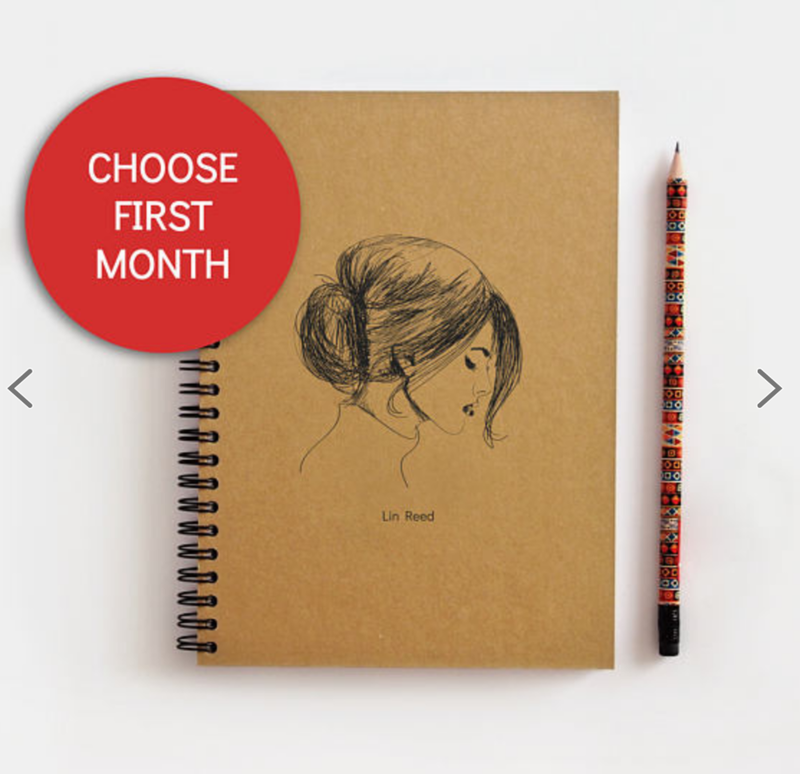 My favorite place to shop for these is at Society 6 because there's so many options to choose from. 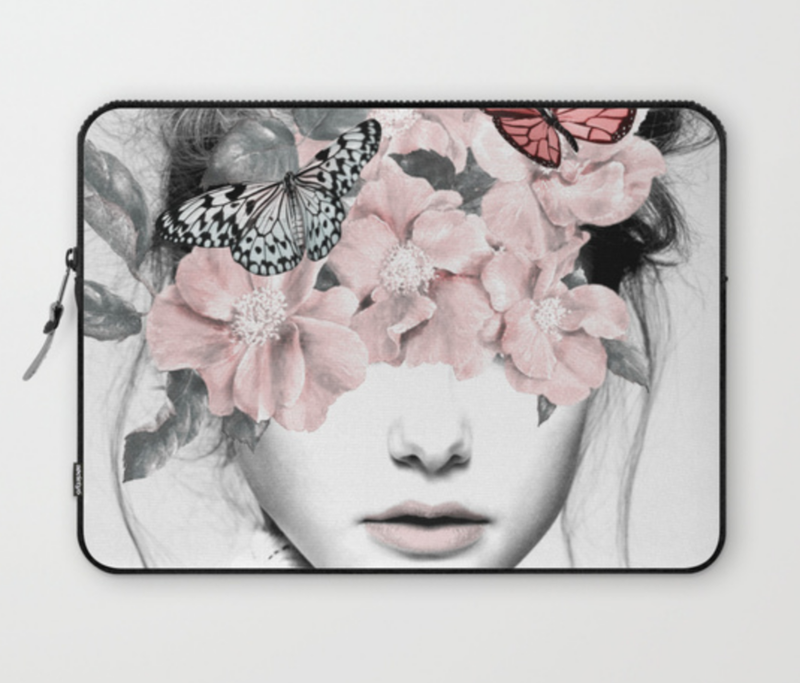 Like honestly, it's a bit overwhelming how many different designs there are, but I like that you can select categories and type in keywords like nature, fashion, or phrases to find the perfect laptop case for you! If you're looking for a case where you can also store paper and pens, the one all the way to the right is a good option for you, as it has a little compartment for extra things. I found that one on Etsy and I'm sure you can find a lot of different styles there, too. I'm well aware that 9 out of 10 college students pick up their coffee from either Starbucks or the coffee shop that's on campus, therefore a plastic travel mug/cup is provided for you! However, I think having your own travel mug is so important during the school year when we're busy going from class to class. If you have a keurig, chances are after you've brewed your k-cup, you won't have time to sit down and enjoy that cup of coffee. 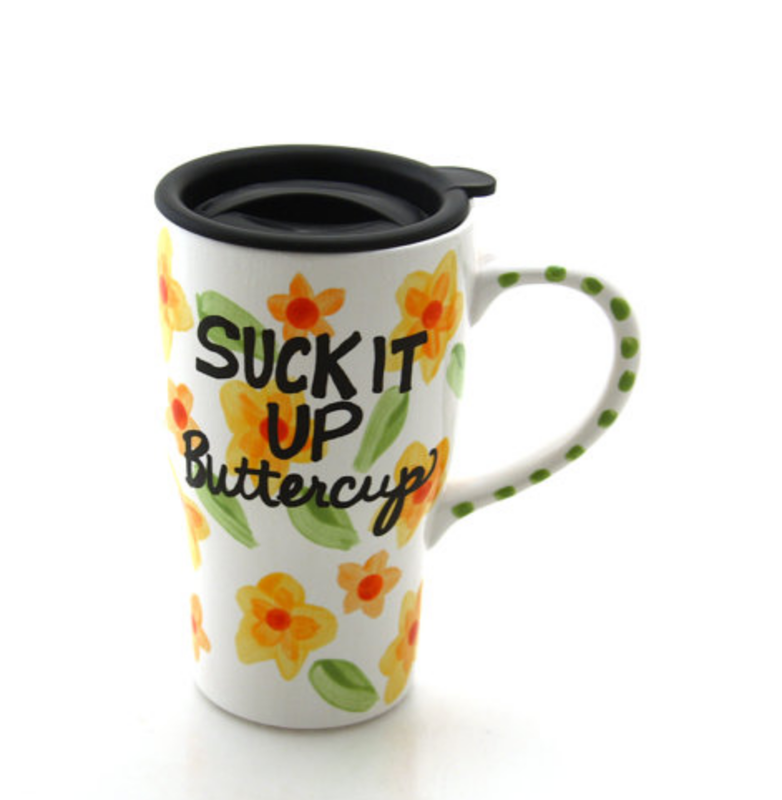 Having a travel mug that you can take with you that's both durable and easy to carry around without worrying about spilling your coffee is a must! Plus, you can ask whatever coffee shop you go to to just use your travel mug instead of wasting more plastic with their cups #sustainability. Starbucks has many travel mugs that you can choose from, but I figured that was to mainstream and I'm all about quirky and different finds. The two on the left are from Society 6; like anything on that site, there are endless options of styles and designs. I also love Anthropologie's selection of travel mugs (and regular mugs in general). The one all the way to the right is from Etsy, and again, Etsy's awesome for those one-of-a-kind goods. I also really like that one because it has a handle on it and you won't burn your hands off if your coffee's too hot! If you're in high school, having a lunchbox is a necessity (unless you're a fan of school food). However, in college, a "lunchbox" is not as important as it used to be. Most of the time you'll be grabbing a bite to eat at the dining hall or opt to hit up a Chipotle or other fast food joint. But what I learned in Savannah was that I may not need a lunchbox, but I still need something to put snacks in when I'm hungry in class or when I want to have a picnic/beach day with friends! This is when a small cooler comes in handy. All you need is ziploc bags, an ice pack, some yummy goods, and you're all set. The reason I say it's smarter to get yourself a small cooler instead of a lunchbox is because coolers are more versatile. They can act as a lunchbox and carry food for one, or they can be brought to a tailgate or the beach and be used by many! 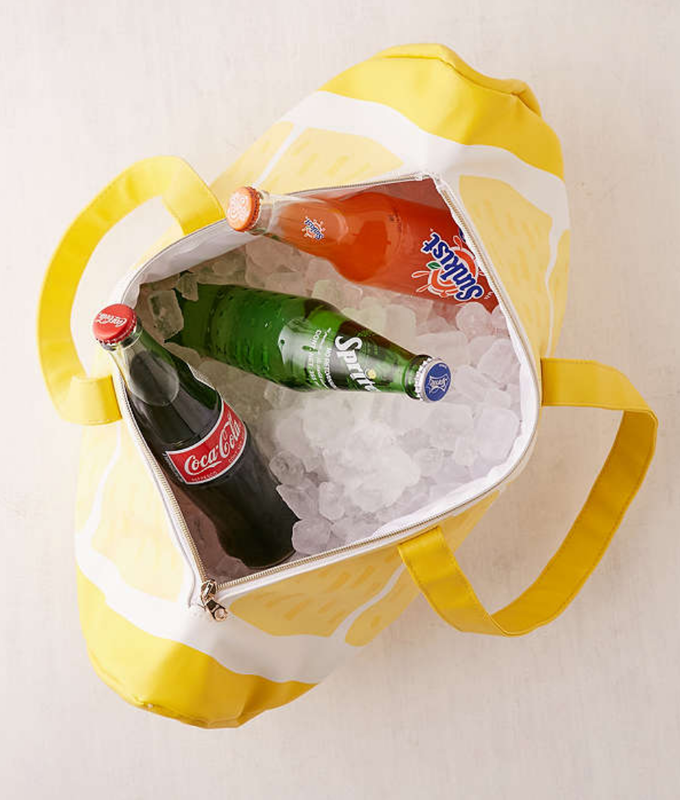 You can find a cooler at The Container Store, on Amazon, or at a sports store; however, if you want something a little more fashionable, check out Urban Outfitters, Bando, or department stores like bloomingdales! This ones for all my gym friends! There's nothing worse than having to carry around all the things like keys, your phone, wallet, and a water bottle, but there's also nothing worse than having to lug around a heavy and uncomfortable gym bag filled with all those things. When looking for a gym bag, you want something that's deep enough to throw a lot of things in and not worry about them falling out, but also something that's easy access. I hate having to unzip a duffle bag or backpack when I'm trying to find my phone or water bottle after a workout, so I find it's easiest to use a tote bag as my gym bag. 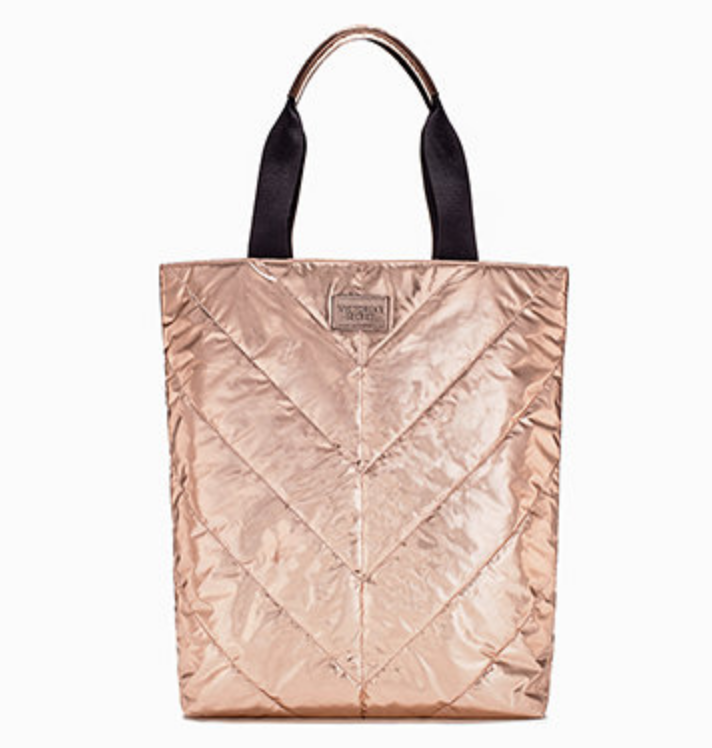 Plus, if you find yourself trying to squeeze in a workout before an appointment or brunch with friends, having a tote bag is a lot more fashion friendly than say, a nike backpack or drawstring. 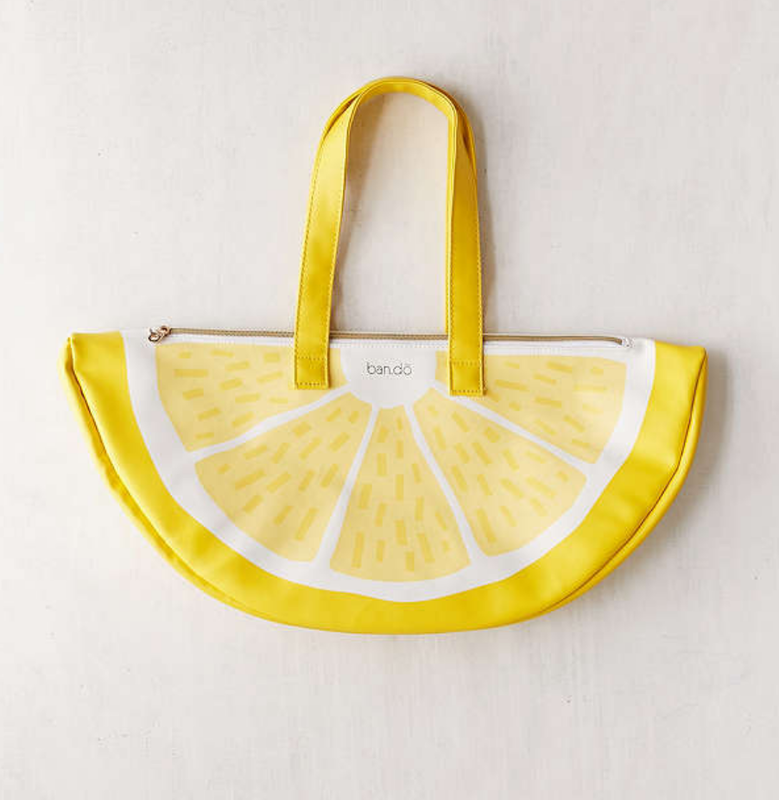 This can also double as your beach/picnic bag! It's all about products that are versatile and multipurpose!! Favorite places to find gym tote bags are Victoria Secret & Etsy. I'm well aware that not everyone loves books- especially when they're already reading a million textbooks during the school year. But I think it's important to have a good book on your desk or your bedside table to pick up whenever you need a mental or physical break from schoolwork and sometimes, even people. It's also nice to have a book to read while waiting for class to start, or on the bus to school or a sporting event. I like to have a book on my nightstand so that on nights where I'm not doing much, or I can't fall asleep, I can read a book to sort of help wind me down and make me feel calm. Here are a few books that I've recently read and LOVED. They're all books that are entertaining enough to keep reading, but easy to put down and pick up without forgetting what you've already read. I hope this helps prepare you from the upcoming school year. I can't believe summer is already coming to an end! Leave a comment down below and let me know what your favorite back to school items are and places to shop. Best of luck this year, my friends. Go into it with positive vibes and an open mind!